A few weeks ago I posted on Availability Group fail-over tests with PowerShell. That post covered the basics of how to check the Availability Group’s state and perform the commands for conducting a zero data loss fail over. As a Christmas Present to all of you, I wanted to get a little bit more advanced and provide a completed script which handles the entire fail-over process. Fails over a single Availability Group (AG) with zero data loss. Does not require the current or target configurations to use synchronous commit in order to achieve zero data loss. Accepts JSON files or strings as input for the target AG state. This is useful for saving configurations for fail-back and for performing scripted tests regularly. It is aware of the AG state, enabling it to move from configuration A to B without stumbling on limitations such as maximum number of synchronous commit replicas. Before and after print outs of the AG state for logging and troubleshooting purposes. 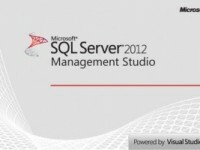 SQLPS module – this is installed with Microsoft SQL Server 2012 and above, by default. If you don’t have SQL Server installed you can also install the, smaller footprint, feature pack here. PowerShell v3.0 – to be honest, this might work in PowerShell v2.0 but I have only tested it in v3.0. v3.0 is packaged with Windows Server 2012 and Windows 8 or above but, if you aren’t using one of those operating systems, you can install it yourself by following these instructions. # We check the version number as a light weight method of checking the connection. # Error handling will abort script if this command fails. # You cannot have more than 3 synchronous commit replicas at one time. # But we want to maintain synchronous commit replicas during the fail-over, if possible. # So, we set just enough to async so that we can set our fail-over replica to synchronous. # Sort ASC by AvailabilityMode so that Async is before Sync. Thank you. Love the script! I’ve figured out how to run it from a .bat file. Now I’m trying to figure out how to run it from SQL Server Agent job step. Do you have any suggestions? You have a couple of different options. Since you already have a .bat file, you could simply call the .bat file from an Operating System (cmd.exe) step type from within the SQL Agent. Alternatively, you can use the PowerShell job step type. I’d recommend creating a proxy account which will act as the security account (run as) for the SQL Agent job. I can provide more details if you run into any specific issues, just let me know (derik (at) sqlhammer (dot) com).